What Makes the Perfect Handbag (for you)? Women love fashion. That is possibly one of the greatest understatements of all time. It is probably safe to assume that by reading this blog post, you’re either one of those very desirable women, her partner or somebody who has a fashionable woman in his or her life. A woman’s love for fashion is arguably one of the most creative and fulfilling aspects of her life. Handbags and shoes tell you a lot about a woman’s sense of style, worth, appeal and the general image they wish to project to others. To many women, carrying a handbag is so much more than carrying any other fashion accessory. It is a sign for something much bigger and with a deeper meaning. It is almost similar to how many men perceive their love for electronics, cars and other gadgets. In some context among many women, carrying a particular handbag or purse could be deemed aspirational or an outright expression of class. Ample market research has shown that some women would not be caught carrying any handbag or purse that is not manufactured and sold by a leading (and often obscenely expensive!) brand name. 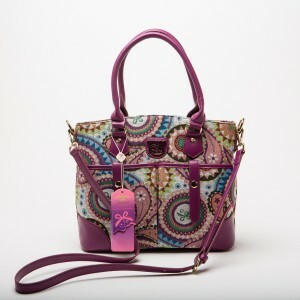 Other women place more emphasis on the functionality offered by the purse, irrespective of the brand. Some women are very strategic and often use some complex calculations that are often difficult to put on paper before they acquire any new handbag. This arithmetic, often without a time limit or expiration date, is constantly running at the back of their minds. Before they ever make a decision to go for the kill and buy a purse. Different strokes for different folks. At Fricaine, one of our key areas of focus is to sustainably and directly engage our customers in an attempt to understand what is important to them. So, we ask you: what is important to you in a handbag or purse? What features do you place a premium on when looking to buy a new handbag or purse? Why (and how) do you choose one handbag over another? What makes you make buy a particular handbag out of the overwhelming array that is available in the market? Is it the appealing designs? Is it the attractive patterns on the handbags? Could it be the lucrative color schemes? How about the functionality of the handbags? In essence, how do you decide on which handbag to buy and deploy in your fashion arsenal? Please join the conversation for a chance to win our special giveaway prize for this blog post – Fricaine’s Cloud Nine Satchel (pictured above).